As part of our ongoing fleet investment and commitment to the development of innovative technology we currently have the next two of our new 30,000 litre dedicated drinking water tankers undergoing their final preparation before starting active service this month. 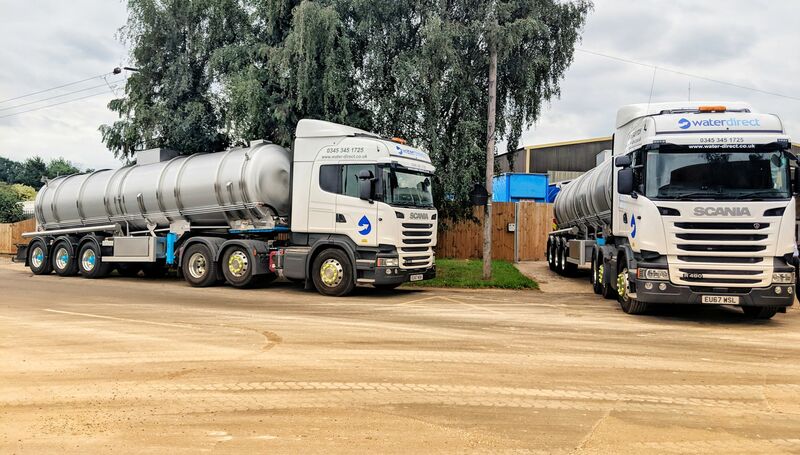 These tankers are unique to Water Direct and feature state of the art pumping equipment to provide industry-leading level of service to our customers. Every detail, including innovative network injection specific pump sets, has been specifically designed to meet the demands of the markets we serve. As a result of the ongoing investments in operational capability we have a further 12 state-of the-art tankers on the way over the coming months. This will further expand what is already the largest commercial dedicated drinking water tanker fleet in the UK. Following the busiest months in the company’s history, Water Direct’s Head of Operations Oliver Silcock shares an update on operational developments and hints at the shape of things to come. Having joined the company as an Asset Technician, Oliver has worked his way up gaining un-rivalled experience in the industry. In his role he is responsible for driving progress through operational process improvement, strategic management, and championing industry-leading innovation and exemplary customer service. “March this year saw us hit the road with our new On/Off-Road ‘Tridem’ axle 19,000 litre rigid chassis tankers. These feature rear-lift, rear-steer design allowing access to nearly any site, no matter how tight. Featuring a revolutionary pumping system these vehicles have transformed our ability to manage live network injections. Following this success we’ve rolled out the concept to all new vehicles in our growing fleet. These pump sets can inject at pressures up to 10bar and automatically maintain pressure and flow 24 hours a day via the on-board digital control panel, and when the technician is up to 180m away from the vehicle, in real-time via two-way remote control. As well as pressure and flow rate, fine adjustments to the pumping parameters can also be made via the remote. Whilst some may view these tankers as mobile variable speed ‘booster sets’, it’s their response times to pressure fluctuations in a network that set them apart. Rather than operate using a manual pressure vessel system which are reasonably slow to react, all our pump speeds are controlled by continual pressure and flow logging. The response time for these pumps to adjust their speed and maintain the desired set pressure is as low as 2.5 seconds. Further still, in our efforts to lead the way in reducing idling time and unnecessary emissions, these new tankers will shut their own engine off when the pump isn’t working. 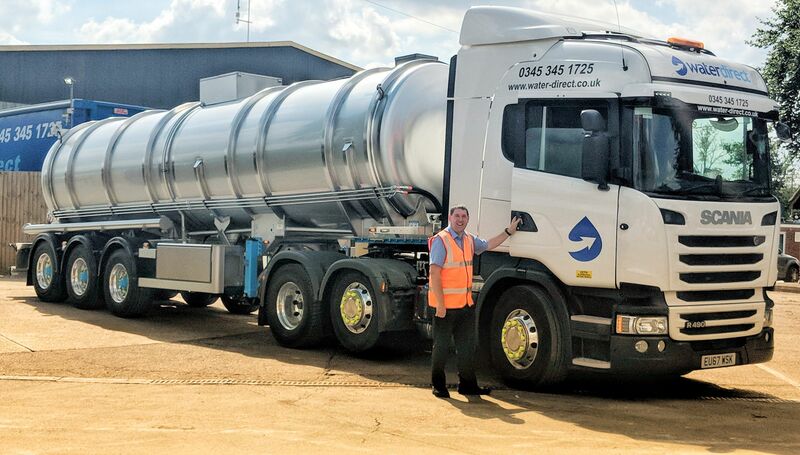 The next challenge for us was to replicate this new system on the largest tankers that can be used on the roads in the UK, our 30,000 litre articulated vehicles. These can act as ‘motherships’ during long term mains network injections where they remain connected to the network, whilst other ‘shuttle’ tankers keep them filled up; this ensures complete continuity of supply into the network. The more intricate detail with articulated vehicles, is that the tractor units are not always permanently fixed to the tanker and pump like the rigid 19,000 litre tankers are. 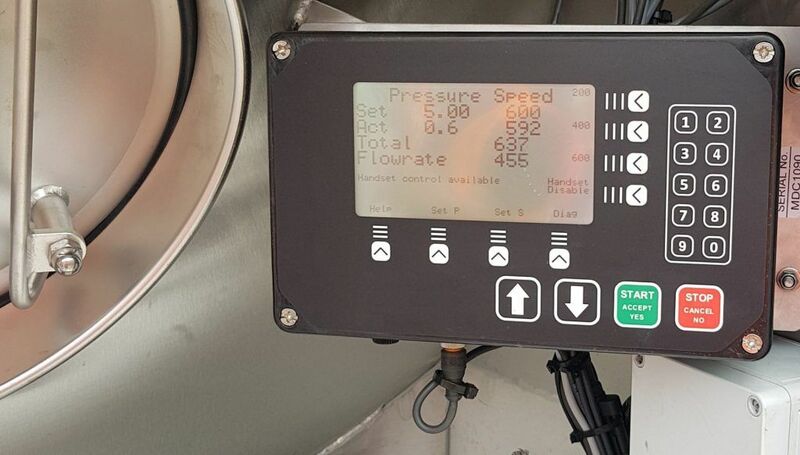 Whilst creating a hydraulic connection between the tractor and tanker isn’t too much of an issue – the fact that our pumps actually control our lorries via CANBus took some clever programming! The overall weight of the vehicle has to be considered too- with a maximum gross train weight of 44 tonnes, we really had to cut back on design weight whilst retaining all the functionality of the system and carry all of the necessary equipment. 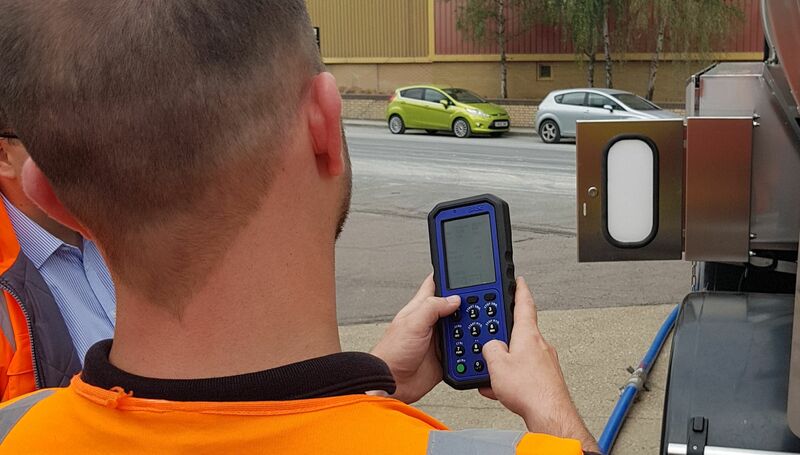 Our vehicles and drivers never know from one minute to the next what the next job will bring, so they have to be prepared for any eventuality! This led us to remove unnecessary elements and implement weight saving measures such as alloy wheels. Our unique air vent system is enclosed in its own cabinet to prevent the road and air-borne contamination associated with standard designs. There’s segregated hose storage ensuring exceptional hygiene and it goes without saying that the entire tank body, as well as the chassis is constructed from stainless steel. The tankers also feature enhanced safety features to protect our technicians, other road users and the general public! The next stage in innovative technology development is just around the corner, and it’s something a bit different this time– so stay tuned!”. As well as the arrival of the latest tankers, we are also very pleased to welcome an additional member to the growing Senior Management Team: Mike Rowell joins us in the role of Operations Manager, bringing with him 25 years industry experience – most recently serving as Water Services Manager at one of Britain’s largest logistics firm, Wincanton. In his previous role Mike was responsible for the management of all water services operations nationally, including water utility contracts, festivals, events and industrial clients. “I’m really happy to join the team! It’s such a great opportunity, and at just the right time- I can’t wait to see what we have in store in the future.” says Mike. Bringing this expertise to Water Direct will certainly help consolidate the company’s position as the industry leaders in planned and emergency temporary water services to those same markets and represents an exciting further step in the company’s growth.